You are your child's first teacher. You are their best teacher. Your child's learning starts at birth. To help support early literacy at home, we've created this list of some of our favourite books to enjoy with your child during their first five years. Rediscover classics, explore something new, and read what you love. Check out our catalogue and request these titles. We have grouped them by subject for you! 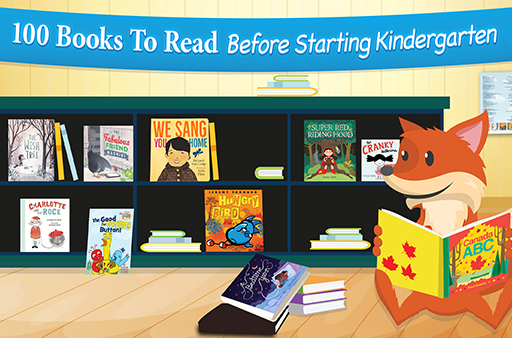 You can download and print the 100 Books to Read Before Starting Kindergarten brochure or pick up a copy at your local branch.